Born 1973, Exeter. Solo exhibitions: ‘Oaxaca Stadium’, Arch Gallery, London, 2010 and ‘New Paintings’, SE1 Gallery, London, 2009. 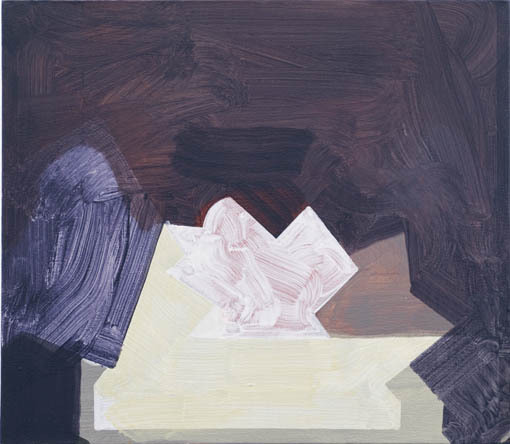 Selected for ‘Lynn Painter-Stainers Prize, Painters’ Hall, London 2010’, ‘Exeter Contemporary Open 2010’, Exeter Phoenix Gallery, Exeter, 2010 and ‘Jerwood Contemporary Painters’, Jerwood Space, London, 2009. Curated ‘There and Everywhere’, Transition Gallery, London, 2009.